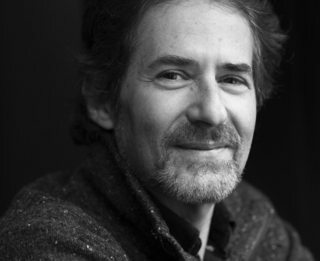 On the 22nd of June, the award-winning and legendary film composer, James Horner, tragically lost his life in a fatal plane crash that occurred near Santa Barbara, California. Horner was best known for his lush and distinctive orchestrations, as well as his sweeping themes filled with unapologetically heart-wrenching romanticism. Some of his most iconic works are Titanic, Star Trek II: The Wrath of Kahn, Braveheart, The Mask of Zorro, and Avatar. Without a doubt, Horner left behind one of the most diverse and memorable libraries of music a composer could ever write for film. Although it is likely that most moviegoers will remember him more for his involvement with large-scale action blockbusters and epic drama pictures, there was a time between the mid-80s and mid-90s when he contributed his music to a good deal of family-oriented features. Apart from a few live-action affairs, a number of these projects were animated films and the majority were produced by Amblin Entertainment. This article will focus on Horner’s contributions to the two most notable of those features, both of which were directed by none other than Don Bluth. Following in the footsteps of Jerry Goldsmith, who composed the score for Bluth’s directorial debut, The Secret of NIMH, Horner began his first collaborative effort with the animation legend on An American Tail. The film tells the story of a young mouse called Fievel, who is separated from his family during a terrible storm as they attempt to immigrate to America. Setting out to reunite with his loved ones, Fievel spends a good deal of the movie going through a number of gut-punching teases, life-threatening events, and meeting a colourful cast of characters along the way, all in a bid to feel the loving embrace of his family once again. Right from the start, the maestro’s sound is immediately recognizable as the score opens with distinct choral material for the opening, not too dissimilar from his usage of children’s choirs in succeeding family films (both live-action and animated). A handful of reoccurring themes are utilized throughout the score, each representing particular concepts such as immigration, family, and hopefulness. The most significant musical ideas often repeated in various cues are all introduced in the aforementioned opening piece aptly called “Main Title” on the film’s official soundtrack. Apart from composing a somewhat strong underscore, Horner also co-wrote a few songs with Barry Mann and Cynthia Weil for the movie. Most of them are serviceable light and bouncy numbers, contrasting well with the heavier and more serious background music. But, there is one particular song that has managed to especially linger in people’s memories and popular culture. “Somewhere Out There” is a ballad sung by Fievel and his older sister, Tanya, during the mid-point of the film. Centered on the love they share and the desire to see their family reunited someday, this endearing song has managed to be one of the strongest and most memorable highlights of An American Tail, and proved to be quite popular thanks to its pop rendition performed by Linda Ronstadt and James Ingram. With a weighty and sophisticated soundtrack, An American Tail proved to be a very solid start in Horner’s small line of animation scores. For Bluth’s next venture, we head back to the dawn of time and witness a tale of loss, friendship, and great courage. The Land Before Time focuses on the story of Littlefoot, a young Apatosaurus (or “Longneck”) who is journeying with his small family in search of the Great Valley, a paradisiacal place spared from the great drought and famine that took over their homeland. Along the way, tragedy strikes and Littlefoot is separated from his herd during a massive earthquake that splits the ground in two. Alone to fend for himself in the middle of a dying land, he eventually forms a companionship with four other stranded young dinosaurs, each from a different species, and they journey together in search of the fabled paradise and their lost families. After his successful output with An American Tail, Horner returned to bring another spectacular score for the second Bluth and Amblin Entertainment production. This classically inspired work brought forth a wealth of intricate and extremely compelling music for the film, with a good deal of cues being extremely lengthy compositions. Each theme utilized is very distinguishable and unique in tone. From the majestic motif for the dinosaurs to the playful and comedic theme for the main quintet (both established early in “The Great Migration”), every cue makes use of these themes brilliantly with a number of memorable variations. Apart from the aforementioned grandiose and comedic material, the most prevalent and memorable idea for the score would be the theme for Littlefoot and, by extension, the Great Valley. Heard early on in the second cue “Sharptooth and the Earthquake,” this theme is often presented in very soft and restrained renditions and usually accompanied by a children’s choir, bringing ethereal and heart-warming qualities to the film, even in the most trying of moments. After all of what Littlefoot and his friends have been through, Horner delivers a most rousing and satisfying statement of the theme at the conclusion of the film. This theme would be rearranged into a song for the end credits. 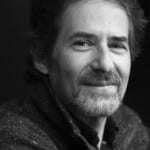 Co-written by James Horner and Will Jennings, “If We Hold On Together” is sung by Diana Ross, brings forth the same endearing qualities as “Somewhere Out There” from An American Tail. These two soundtracks Horner gifted to the world, form a very tight package of Don Bluth film music, share some slight musical continuity with one another and provide a great display of the composer’s prowess. His contribution towards The Land Before Time is especially magnificent. It is not only his greatest animated film score, but one of his best works in general. Horner would go on to provide a number of soundtracks to additional animated features (including a sequel to An American Tail), but these two works remain as his most powerful achievements in the genre. Truly, he provided an enriching, touching, and beautiful experience.